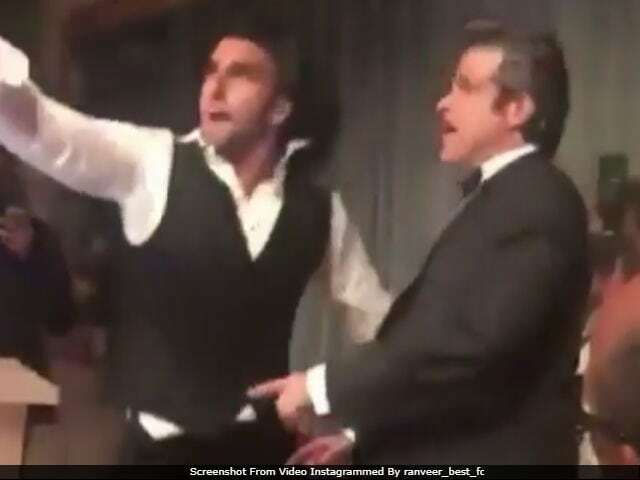 Actors Ranveer Singh and Anil Kapoor, co-stars of Dil Dhadakne Do, recently attended a wedding in London and set the dance floor on fire. (We aren't surprised. Are you?). The duo danced to My Name Is Lakhan and the people just couldn't remain calm after their jhakaas performance. 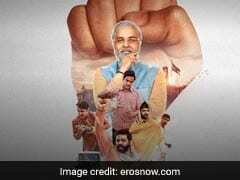 (My Name Is Lakhan is a popular song from Anil Kapoor's 1989 film Ram Lakhan). Videos from inside the celebrations have been shared by one of Ranveer's fan clubs on Instagram. The actor also danced to hit songs like DJ Wale Babu, Tamma Tamma and Tatad Tatad with the guests. Apart from being colleagues, Ranveer and Anil Kapoor are also relatives. Ranveer is Mr Kapoor's wife Sunita's nephew. See Ranveer Singh and Anil Kapoor's epic dance moves here. (They were together attending the wedding of businessman Aneel Mussarat's daughter Anoosha). Anil Kapoor also posted the wedding details. The wedding was also attended by Sonam Kapoor, Karan Johar and Hrithik Roshan. Pictures from the celebrations were also shared by these celebs. Here's how Karan Johar had 'fun' in London. While Sonam Kapoor made the spotlight follow her in this candy pink dreamy outfit. ICYMI - This is not the first time Anil Kapoor has danced to My Name Is Lakhan at a wedding. Months ago, at a family wedding in Abu Dhabi, the actor and his nephew Arjun rocked the stage with their performance on the same song. On the work front, Ranveer Singh has Padmavati and Gully Boy in the pipeline. Padmavati is a period drama directed by Sanjay Leela Bhansali and Deepika Padukone and Shahid Kapoor co-star with Ranveer. Anil Kapoor is currently filming Fanney Khan, also starring Aishwarya Rai Bachchan.